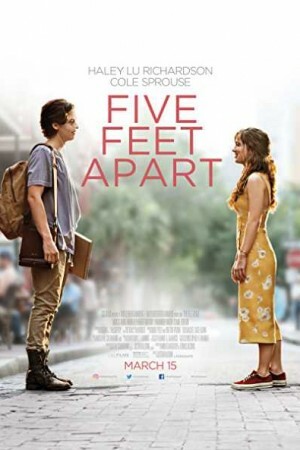 Five Feet Apart is an American romantic drama movie that revolves around the love story of 2 patients who can’t get physically close to each other. Suffering from cystic fibrosis, Stella and Will are getting treated in the same hospital where they cross path and love starts blooming between the two. Due to their medical condition, both have to stay at least 6 feet apart from each other while the distance increases the temptation to break the rules and touch. Will’s rebellion to the medical treatment further complicates the process while the movie unravels Stella’s efforts to convince, and hence, save her love and its consequences.